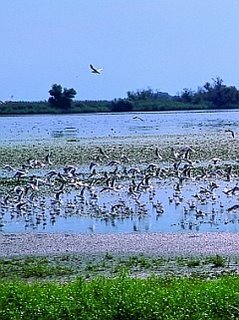 This astonishing realm of waters is home for three hundred bird species and numerous fish species - over 45 -, from sturgeons to carps and perches, while the 1150 plant species range from lianas creeping on tree trunks in oak forests to water lilies. The Danube Delta was officially proclaimed the Landscape of The Year 2007-2008 by the Presidents’ Conference of International Friends of Nature. I love to read your blog its really informative to me & also for others who wants to know about Romania. You reveals the very interesting aspect about Romania. Your blog is vey nice & informative. I always appreciate your work. Thanks to the sharing.